Hi all – I am the process of reading the transcripts and listening to the audio versions from NICABM’s Trauma and Body series. I am also responding to comments from Feldenkrais practitioners who attended and sent me emails and responses on Facebook and such. I really appreciate it when people do that. If you attended any sessions from this particular event and have anything to add, please put a comment below? I am also curious about your experiences with Somatic Experiencing and Body Based Therapy in general. I did my best to annoy the hell out of you with blog posts, emails and Facebook spam so that you could attend the events for free. But if you missed any of them, or want the downloads there is still time to buy. The cost of the paid version is set to rise dramatically on Monday, May 13 so if you want to get all the videos, audio, transcripts and bonuses, enroll now. 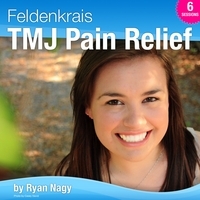 This entry was posted in feldenkrais, Feldenkrais and Trauma on May 10, 2013 by nagster. Update, Thursday, May 9th: The free series is done. However all the sessions are available as video and audio with transcripts for a small price. But the price is going up on May 13th, so enroll now if you want the content. These webinars helped me understand why some people get more benefit from Feldenkrais sessions and some people (such as myself) get LESS benefit. Many of us have trauma symptoms, dissociation and neurological “blocks” that limit what we can gain from the Feldenkrais Method. These webinars with Peter Levine, Pat Ogden and Stephen Porges have given me tools for dealing with these traumatic after effects, “healing” them and helping a person stay in the present moment and in the lesson. Update: The webinar is starting in just a few hours, today, Weds, March 8. It will be broadcast at two times: 5pm EDT (Eastern Daylight Time) and 6:30pm EDT. 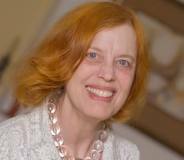 But you must register to attend free: Register for Pat Ogden Webinar on Trauma. 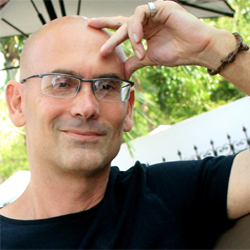 ….I am in the midst of preparing myself for an online webinar that is coming up very soon on Trauma and The Body. The next speaker is Pat Ogden, PhD who is not only a psychologist but has also studied Hakomi and the Alexander Technique. She also makes a point to mention Feldenkrais in her various books and papers. I do not always share the details of these webinars. I only share the ones that I have a deep interest in or that I think other Feldenkrais practitioners will enjoy. This one looks to be great for Feldenkrais people. Pretty cool! There is much more that I could say about this webinar, but I am relatively new to Dr. Ogden’s work and should perhaps leave it to her to describe what she does. The webinar is free if you register ahead of time and attend “live.” You can also pay if you would rather download the video (and audio version) and get transcripts and such. I wonder a great deal how many people come to the Feldenkrais Method (consciously or otherwise) because they are dealing with unresolved trauma. And I wonder yet again, if the Method can give them relief. I think the answer for many is “no.” There are some specific strategies and ideas missing in the Method. Strategies and ideas which, though similar, are different in their implementation and use. This is a topic I will return to in a later blog post on RyanNagy.com. In the meantime, to hear Dr. Ogden’s talk please click the link below and find the line and grey box on the page that reads: Register here for the Wednesday broadcasts only. Free of Charge. Feel free to forward this blog post or post on social media if you know of others who will benefit. I do get an affiliate fee for each paid registration. I apologize in advance for any spelling or grammar errors. I did this quickly Sunday morning, before taking the rest of the day off. This entry was posted in blog, feldenkrais, Ryan Nagy and tagged feldenkrais, Ryan Nagy on May 5, 2013 by nagster. Feldenkrais in Nicaragua, Feldenkrais for the Eyes and a MOVE…. I am nearly done blogging here on UtahFeldenkrais.org. I am slowly but surely moving my writing to the blog on RyanNagy.com. I have to say that it is a rather embodying experience to bring all my various interests under “one roof.” For years, RyanNagy.com was primarily a blog about search engine optimization and search marketing. The website was a tool that I used successfully to build a practice in that field. I had several clients who were start-ups and also several who were larger, multi-million dollar businesses. Fun stuff for a while. But I got bored. I now only work on my own projects and of those with whom I collaborate. And I no longer live in Utah! So, time to leave “utah feldenkrais” and bring it all home to Ryan Nagy. I still have a few more posts here on UtahFeldenkrais.org and I have much work to do on the other site before it is completely ready. But, if you are interested, there are several blog post regarding a Feldenkrais Volunteer Opportunity in Nicaragua, a new Feldenkrais mp3 series for the eyes that I am working on. And more. Join me over there if you choose. When I finally stop blogging here, I will send you a notification. And for those of you who only want to read about certain topics (such as Feldenkrais) and not others (Marketing, Technoology, Hypnosis etc), I will have the option of deciding which types of notifications you receive. This entry was posted in feldenkrais, Ryan Nagy and tagged feldenkrais, Ryan Nagy on May 3, 2013 by nagster. Should Paul Rubin Help Choose The Next Guild Director? I am in the process of working my way through an anonymous email sent to me via anonyMOUSE yesterday. I will post parts of the email as time permits. It is from someone who knows a great deal of what is happening behind the scenes since Susan Marshall’s departure. I must admit, I find it all to be somewhat grotesque and more than a little Faustian. But for now, I want to point your attention to some publicly available information about the process of picking a new FGNA Director. 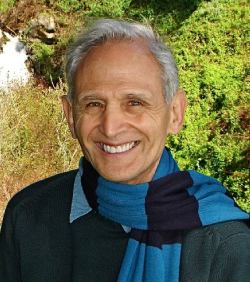 Paul Rubin is on the committee that has been formed to find a new director for the Feldenkrais Guild. Shall I repeat that? Paul Rubin, who wrote volumes of emails attempting to discredit the last director and her decisions, now wants to help choose the new one. How do you feel about that? Paul and his trainer buddies got what they wanted. They forced the last director to quit. And now he is getting a direct vote on picking the next one. Perhaps he will help choose someone who will be more amenable to accepting his views? Someone more pliable and not as ethical as Susan Marshall? If you have a problem with this, perhaps voice your concern to someone at the Guild? Perhaps refuse to renew your membership? At some point I would consider becoming a member of the Guild again and supporting its growth and the spread of the work. But I just can’t see spending my time and money on an organization with a lack of democratic process, and in which a small group of trainers have defacto power to pick and choose the director and set policy regardless of and in direct contradiction to what members want. It is beyond ridiculous. This entry was posted in feldenkrais, feldenkrais guild, Feldenkrais History, FGNA, FGNA history, Paul Rubin on April 10, 2013 by nagster. This entry was posted in feldenkrais on April 4, 2013 by nagster. There will be a free option to attend an online event tonight with Peter Levine through NICABM’s online conference on healing trauma. Many Feldenkrais practitioners know of Peter Levine through his “Somatic Experiencing” work which helps to quickly and powerfully help people work through and eliminate the effects of traumatic events. At this point, I personally know a dozen Feldenkrais practitioners who are also Somatic Experiencing Practitioners. I am certain there are many more. In addition, if you have ever worked with Milton Erickson or one of his students, you may recognize many similarities between Erickson’s work and the work of Peter Levine. For now, I am going to skip writing about Feldenkrias and trauma in depth. But I will say that I believe strongly that the Feldenkrais Method’s ability to help people recover from traumatic events can use a bit of a “boost” with some additional strategies. My own recovery from abuse, drug addiction, homelessness and somewhat severe dissociation that used to take me over at times was helped, but not quite healed, from using the work of Moshe Feldenkrais. The number of people who come to the work seeking relief from trauma and it’s effects, is perhaps greater than we realize. It could help us all to learn a bit more about this topic. As well as a few other topics. There are other speakers in this series on trauma including, Steven Porges, Bessel van der Kolk, Pat Ogden, Francine Shapiro (of EMDR fame), and Ruth Lanius. In addition, Bill O’Hanlon and Rick Hanson will be speaking on how to directly put the various trauma treatment strategies into practice. Will be shown at two times tonight: 5:00pm EDT and 6:30pm EDT. If you want to have access to downloads and transcript of the events and some bonuses, you can pay for that. But it is not required. If you do end up purchasing something from NICABM, I will get a referral fee. This entry was posted in feldenkrais, Feldenkrais and Trauma on April 3, 2013 by nagster. I would like to refer people to you. But I have to know who you are. As near as I can tell, the only ones who have new models for getting feldenkrais into the world are you and me. If you are willing to mentor people in the work or are already doing so, let me know. I can put a listing to you on my blog. Having some information about what you do and how on your own website would also be useful. The students are ready. The teachers need to appear. It does not matter whether you are in the guild or not, mind-body studies or not, Anat Baniel Method or not. I believe there are a few other organizations out there whose work is based on the work of Feldenkrais (the man). Do you know who they are? Send me the link if you want it posted. If you are not already subscribed to this blog via email, click the link and enter your email below to get updates of new posts and also workshop announcements: Subscribe to Ryan’s Blog. This entry was posted in feldenkrais on March 25, 2013 by nagster. The FGNA Wants To Change: Are You Ready To Help? Have you seen some of the updates coming from the Feldenkrais Guild of North America regarding recent events? They do not in any way speak to or mention the circumstances surrounding Susan Marshall’s departure. They do not talk about the role of the Board of Directors. They do not speak to how to change the dynamic moving forward. The updates are filled with corporate, legalistic jargon and make no mention of what happened in the trainer coup. Personally, I read the bulletins and felt like vomiting. They are filled with slogans and fluff with no real human energy or emotion. How in the hell can you move forward as an organization if you keep ignoring what is happening in the present moment? There was a coup by a group of Feldenkrais trainers. One of many that have happened over the years. They bullied and attacked the Guild director for months until she quit. The current board of directors did virtually nothing to support her. No mention of this? No mention of the dynamic? The history? And now they want to spend $1000’s of dollars to hire yet another consultant to make recommendations? What is this? Mindless slogans. Stupidity. Distraction. How many times can we read this kind of stuff? How many times can we go through this? Does anybody have the courage to be honest about what is happening here? Can anyone have a simple human response? If you are an FGNA member, you are under attack. You do not have an organization working for you. You have a weak board that is spinning its wheels and have been doing so for decades. You do not have elected representatives. They are appointed and they are not accountable to you. They are under the control of a small group of so-called trainers who scream bloody and attack when they do not get what they want when they want it. Does that frighten you? Scare you? Good. At least somebody around here has a pulse. Now do something. What? How about getting together and finding a new group of board members. Get together and decide who you want. Preferably a group with similar goals and visions. Nominate them. Get ready to fight when they try and stop you from having a real election and choice. What else? How about asking some tough questions and keep asking them until you get answers. What was the role of the current board? What stopped them from supporting their director? Why is Dwight Pargee the only one that stepped down? Should not they all step down? If you feel that way, then say, something. Call the Guild. Write an email to to the director. Tell her that you have no confidence in the board and that you want them to step down. Do you pay for the Guild? Yes. Do you have a voice? Maybe. The status quo is not working. Something has to change. You know this. Do something. Please. It does not matter if what you do is immediately effective. It can be a first approximation. But you have to start somewhere. If you want to act, but are not willing, that is fine too. We all start with our own comfort zone. How about you fail to act by not renewing your membership? If the Guild is faced with bankruptcy, perhaps it will wake up and realize that it has to support its members – the practitioners who pay for it all. That would be you. Please do not attack or be hostile to Guild employees. They are as upset as anyone else. They had a boss who they liked and who was forced to resign. But even so, express your opinion. You pay the rent and the salaries and the benefits. Really. You do. You have a right to an organization that represents you. This entry was posted in feldenkrais on March 21, 2013 by nagster.